Prof. Dr. Serpil Bağcı received her doctoral degree in Art History at the Department of Archaeology and Art History in the Faculty of Letters at Hacettepe University in 1989. Since 1980, she has lectured on archaeology and Ottoman arts at the Department of Archaeology and Art History in the Faculty of Letters at Hacettepe University. She has also supervised master and doctoral theses. From 1979 to 1980, she served as a specialist for the Directorate of Antiquities and Museums, which operates under the Ministry of Culture and Tourism. In 1982-1983, she studied at Università di Roma as a research fellow. From 1987 to 1988, and 1997 to 1998, she researched at the Aga Khan Program for Islamic Art and Architecture of Harvard University and Massachusetts Institute of Technology. She served as a Mustafa Kemal Atatürk Professor in the School of Oriental and African Studies at the University of London in 2003 and 2004, and taught as a visiting professor at the University of Chicago, Department of Near Eastern Languages and Cultures in 2012. Prof. Dr. Bağcı has participated in many national and international congresses, conferences, and seminars, and conducted many projects on cultural heritage. She has published numerous articles on Ottoman miniatures and Islamic book painting in various national and international journals and conference proceedings. Konya Mevlânâ Müzesi Resimli Elyazmaları. İstanbul, Konya and Mülhakatı Eski Eserleri Sevenler Derneği, 2003. Osmanlı Resim Sanatı. (with Filiz Çağman, Zeren Tanındı and Günsel Renda), Istanbul: TC Kültür ve Turizm Bakanlığı Yayını, 2006. Falnama The Book of Omens. (with Massumeh Farhad), Washington D.C.: Smithsonian Institution, Arthur M. Sackler Gallery, 2009. Ottoman Painting. (with Filiz Çağman, Zeren Tanındı and Günsel Renda), Istanbul: Turkish Ministry of Culture and Tourism, 2010. Gelenek, Kimlik, Bireşim: Kültürel Kesişmeler ve Sanat. Günsel Renda’ya Armağan/Tradition, Identity, Synthesis: Cultural Crossings and Art. In honor of Günsel Renda. Edited by Serpil Bağcı and Zeynep Yasa Yaman. Ankara: Hacettepe Universitesi, 2011. "Osmanlı Dünyasında Efsanevî Yönetici İmgesi olarak Büyük İskender ve Osmanlı İskendernâmesi." in Humana. Bozkurt Güvenç′e Armağan. Ankara: T. C. Kültür Bakanlığı, 1994, pp. 27-31. "Commitenza-Islam." in Enciclopedia dell′Arte Medievale. vol. V, Roma 1994, pp. 226-231. "Seyid Battal Gazi Türbesinin Gümüş Kapısı Üzerine Bazı Gözlemler." in IX. Türk Sanatları Kongresi, Eylül, 1991-Bildiriler. Ankara, 1995, vol. I, pp. 225-238. "A New Theme of the Shirazî Frontispiece Miniatures: The Divân of Solomon." in Muqarnas. XII (1995), pp. 101-111. "İslam Toplumlarında Matemi Simgeleyen Renkler: Mavi, Mor, Siyah." in Cimetières et traditions funéraires dans le monde islamique / İslam Dünyasında Mezarlıklar ve Defin Gelenekleri. Vol. II, Ankara: TTK, 1996, pp. 163-168. "Gerçeğin Suretinin Saklandığı Yer: Ayna," in Topkapı Sarayı Müzesi Sultanların Aynaları. Istanbul: Topkapı Sarayı Müzesi, 1998, pp. 12-29. "From Iskender to Mehmed II: Change in Royal Imagery." in Art Turc / Turkish Art 10th International Congress of Turkish Art. 10e Congrès international d′art turc, Genève-Geneva, 17-23 Sept. 1995. Actes-Proceedings. Genève, 1999, pp. 111-125. "Unity within Diversity: An Imperial Artistic Tradition-Jedinstvo Raznovrsnosti: Carska Umjetni?ka Tradicija." in Dragocjenosti Otomanske Umjetnosti 15-19.st, The Treasures of the Ottoman Art 15-19th cent. Zagreb, Galerija Klovicevi Dvori, 14.X. - 30. XI. 1999. Zagreb, 1999, pp. 35-54. "Age of Magnificence: Portraits of Sultan Süleyman I." (with Jürg Meyer zur Capellen), in The Sultan′s Portrait. Picturing the House of Osman. Istanbul, 2000, pp. 96-132. "From Adam to Mehmed III: Ottoman Genealogy." in The Sultan′s Portrait Picturing the House of Osman. Istanbul, 2000, pp.188-202. "The Spread and Liberation of the Royal Image: Portraits of Mehmed III." in The Sultan′s Portrait Picturing the House of Osman. Istanbul, 2000, pp.216-219. "From Translated word to Translated Image: The Illustrated Şehnâme-i Türkî Copies." in Muqarnas. XVII (2000), pp. 162-176. “Süleyman-ı Âdil’den Kanunî Süleyman’a: Osmanlı Resminde Dinî ve Siyasî İmge.” in Ortaçağ’da Anadolu. 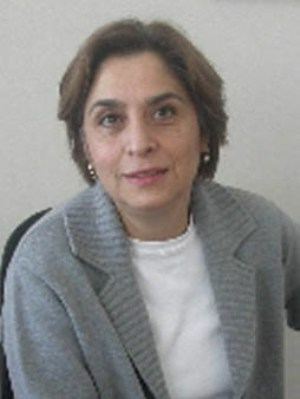 Prof. Dr. Aynur Durukan’a Armağan. Ankara, 2002, pp. 53-64. "An Iranian Epic and an Ottoman Painter: Nakkaş Osman′s ′New′ Visual Interpretation of the Shahnamah." in Pfrauen, Bilder und Gelehrte studien zu Gesselschaft und Künsten im Osmanischen Reich / Arts, Women and Scholars Studies in Ottoman Society and Culture. Festschrift Hans Georg Majer. Edited by Sabine Prätor and Christoph K. Neumann. Istanbul: Simurg, 2002, Vol.2, pp. 421-450. "Painted Decoration in Ottoman Architecture." in Ottoman Civilization. Edited by Halil İnalcık and Günsel Renda. 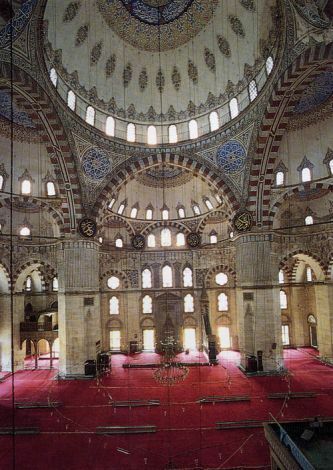 Istanbul: Kültür Bakanlığı, 2003, Vol. II, pp. 736-59. "Old Images for New Texts and Contexts: Wandering Images in Islamic Book Painting." in Muqarnas. Essays in Honor of J. M. Rogers. Edited by D. Behrens-Abouseif and A. Contadini. Vol. XXI (2004), pp. 21-32. "The Ottomans: From Mehmed II to Murad III. Art of the Ottoman Court." (with Zeren Tanındı), in Turks. A Journey of a thousand Years, 600-1600. Edited by D. J. Roxburgh. London: Royal Academy of Arts, 2005. pp. 262-375 and 433-470. "From Texts to Paintings: Ali in Islamic Manuscript Painting." in From History to Theology. Ali in Islamic Beliefs. Edited by Ahmet Yaşar Ocak. Ankara: Turkish Historical Association, 2005, pp. 229-264. "Images for Foretelling: Two Topkapı Fâlnâmes." in Dreaming Across Boundaries: The Interpretation of Dreams in Islamic Lands. Edited by Louise Marlow. Boston, MA-Washington DC, 2008, pp. 235-269. 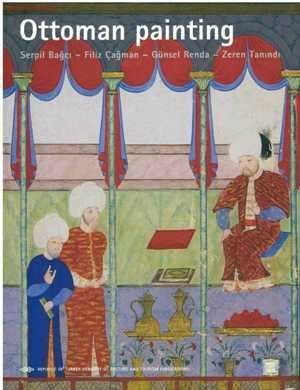 "Visualizing Power: Portrayals of the Sultans in Illustrated Histories of the Ottoman Dynasty." in Islamic Art. Edited by Eleanor Sims and Ernst J. Grube. London, Vol. VI (2009), pp. 113-128. 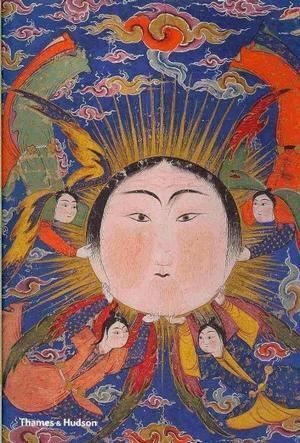 "Ottoman Treasures from the Chester Beatty Library." in Irish Arts Review. (Autumn 2009), pp. 80-84. "Sûrete âşık olmanın sûretleri." in Eski Türk Edebiyatı Çalışmaları VI. Mesnevî: Hikâyenin şiiri. Edited by. H. Aynur and et. al, Istanbul: Turkuaz, 2011, pp. 265-286.